He is the CEO and President of Amberoon Inc. a provider of data-driven business perspective solutions. He has extensive leadership experience in high-growth technology companies with general management responsibilities covering sales, marketing, finance and operations. 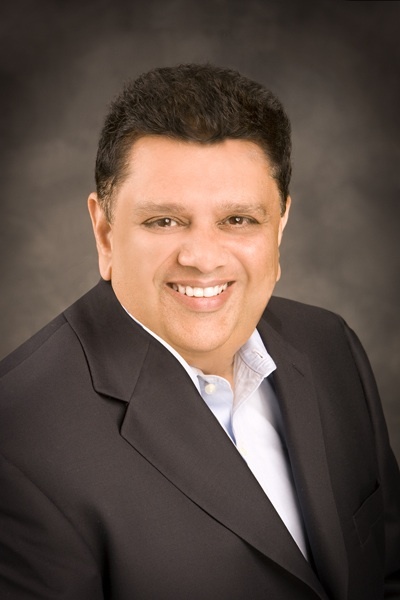 His past roles have included President of Aztecsoft Ltd., President of Absolute Quality (AQ), CEO for Microland Inc. and EVP, Business Analytics Solutions for Saama. At Aztecsoft, he executed a strategy to position the company as a category leader and grew revenues three-fold in 24 months that created $180M in shareholder value. While at AQ, he transformed the company from a small console gaming services provider to a prominent industry player with a broader range of services while acquiring new clients in social gaming. Before joining Aztecsoft, Shirish held leadership positions at Sun Microsystems for over a decade in the areas of international sales, marketing and channel management. His roles included channels director for a $700M business unit and strategic sales director for software. As a part of Sun’s international sales team, he worked with customers and channel partners in 35 countries in Asia, Europe, Latin America and Africa. He was also the founder and chairman of the SchoolTone Alliance, a non-profit industry consortium to offer digital content to schools in the US. He began his career at Wipro Technologies as one of its first 25 employees. Shirish has been quoted as a thought leader in the New York Times, Investors Business Daily, Chief Executive Magazine and Asia Times. His speaking engagements have covered a variety of forums such as Seoul Digital Forum, GITEX, CFO Rising and Oracle OpenWorld. He has testified as an industry expert before the California State legislature and the US Congressional Web-based Education Commission. Shirish has an undergraduate degree from IIT Kanpur and an MBA from the University of Rochester.